I'm a beautiful Bengal cat and I live with my brother and a Savannah cat. I also live with a crazy cat lady, also known as momma cat or mom and a great daddy cat. I am the boss of the house. I have to constantly keep Simba (the Savannah) in line. Girl cats rule! Keeping the boy cats in line in this house. I also love nail files. They are great to flip around and bite. Small cat toys and the feather toy are my favorites. Watching birds outside is another great past time. phht! what cat watches movies? I love the mean kitty song, find him on youtube. Sparta is a cool cat. Also what the kitty doesn't like, also on youtube - steve cash sings it. Founded on April 6, 2011 with 22 members.. Founded on December 15, 2010 with 8 members..
Kali Kat and Bugsy are now friends. Hi my fellow Canadian!1..I lubs lubs your page..its way cool!! Well I sure hope I will have fun trying to be a pirate with all my friends! Hi everyone!!! Kali Kat I hope effurry one had a purry Christmas, its almost time for da Mew Year. Happy Mew Year to all. Someone has sent me some gifts but I only see quotation marks and blank space. So fank you purry much, whatever it was, MOL. mol! I like that stuff. It seems like it was a site wide glitch. The regular gift shop is working just fine. Send some treats to your friends! purrs no problem, thought it was a ghosty playin tricks or something. MOL Happy Mew Year!! or maybe our Angels were having a little fun!! Sorry it's taken me so long to respond to your furriend request! Meowmi is a little slow!! MOL! Gustav Holst of Mewsicatz and Kali Kat are now friends. Interesting kitty history. Happy Sunday everyone. Cats are often overlooked in the history of military animals. 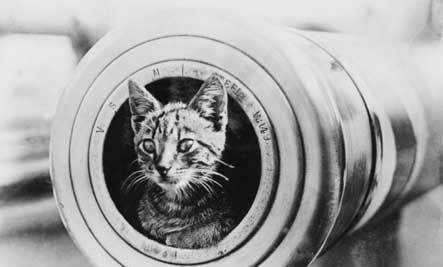 Here are five cats that stand out for their exceptional wartime actions. purrr nice to meet you my new furend! And the same to you, dear Kali Kat! I'm so sad to hear about Moozer passing. Purrs and hugs to you and your family. Each kitty soul is such a blessing in our lives and so sad when they leave us. Kali Kat and Marjory Stewert-Baxter are now friends. Cats cats its gotta be a catbook! I dislikes anyone mean to kittehs! phhtt!! If its feline, its catastic!